This pic is one of the back with my daughter posing. 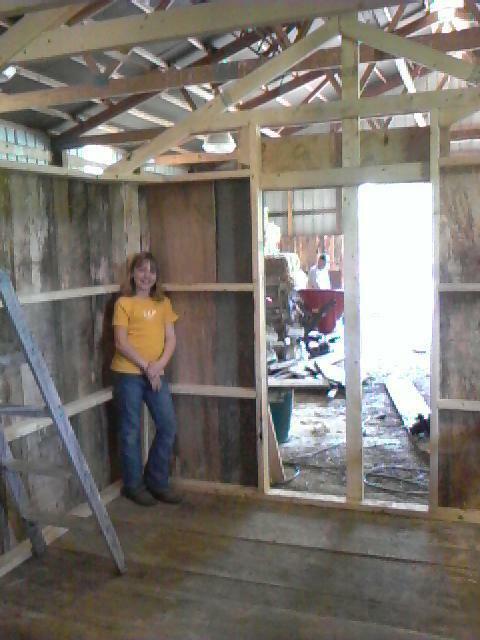 As you can see we ran the 2x4's like a barn instead of like normal wall studs. The reason we did this is we got a good deal on some rough cut oak, and we ran them horizontal. It actually took less 2x4's this way and with the rough cut oak, this is very solid. The building is built on skids for easy moving. Here is pic #3 with the 2x4 still attached to the roof holding the rafter up straight. Their is also a piece of plywood on the front that my grandpa installed when i wasn't looking that says something about the family chickens. It was pretty funny, since he is such a jokester. Here is pic #4 with all the trim on the front and chicken wire over the windows. I also added two flower boxes under the windows so the wife can plant some flowers that the kids got at school. This also saves me from having to mow around them. 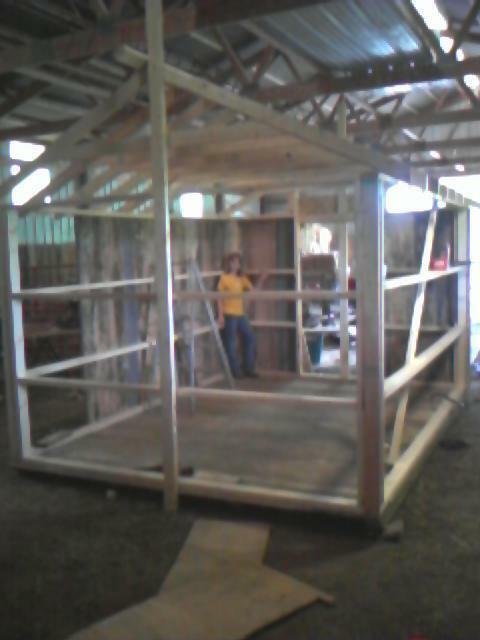 We have been building this inside our horse barn since we have been getting so much rain. 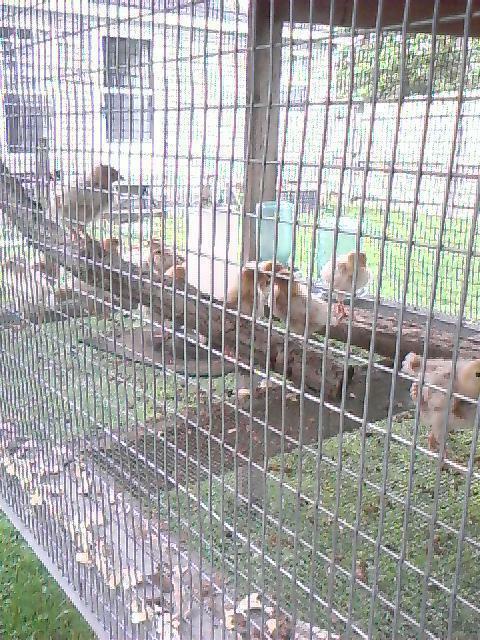 These are all the pics i currently have as of 21-May-10. 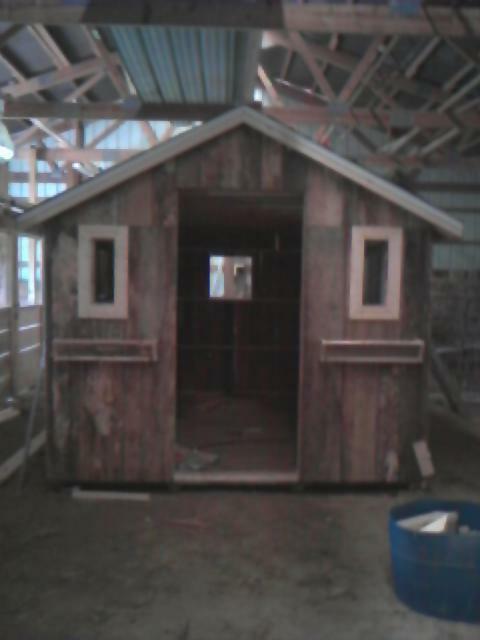 This project is still under construction and we should get the door on, and painted tomorrow. We are thinking that we are going to paint the coop fire truck red with gloss white trim. If you have any other suggestions, or just have a question about my coop, feel free to send them my way,[email protected] . 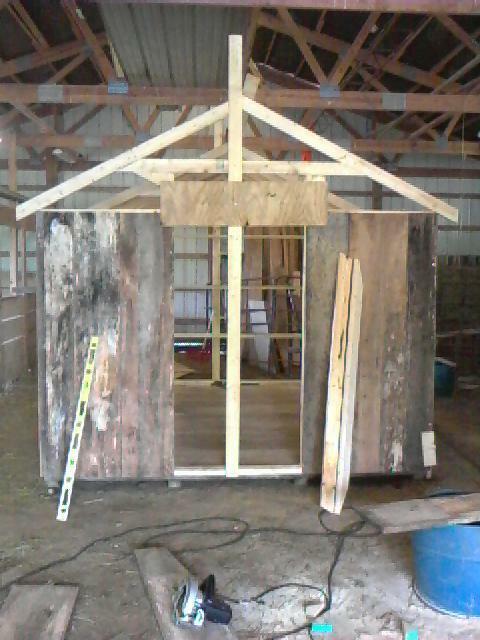 May also get it moved out of the barn and into place. 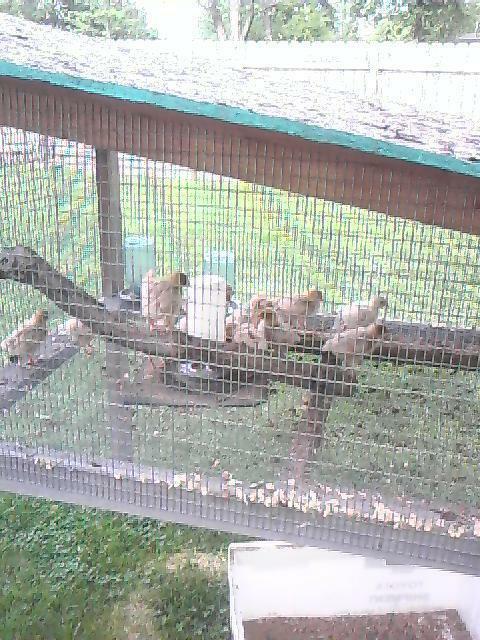 Here are a couple of pics of the 17 Red Star chicks we have (16 pullet and 1 cockerel). Yes it is big. Without dimensions it is hard to figure the materials needed or the how to of it all. I understand the wall studs are different than the standard. It would be nice to know how this holds up under heavy snow.